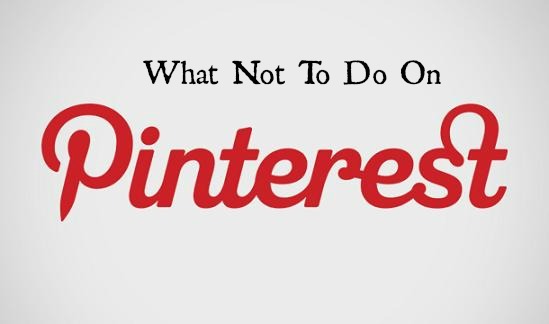 Like all social media platforms, pinterest has its do’s and don’ts. Not following the written and unwritten rules means that your presence will look less than professional so do ensure that you are following the correct pinetiquette. Don’t include your url in a descriptor on someone else’s pin! I was really surprised when I happened to spot this repin of one of my own pins. I was chuffed to see the comment that stated there were great tips in my article but somewhat bemused to see someone else’s url under the comment. When I clicked on it, it brought me to their website, yet when the pin was clicked, the source was still my article so that hadn’t been tampered with. However, by putting the url under the comment, it suggests that person wrote the article rather than the comment. There are spammers out there, even on pinterest so don’t repin articles without checking links (It’s a good idea to check pictures too but people do appreciate it is timeconsuming to check all your repins). However, each repin acts as a recommendation for the content so it is important to check pins that are clearly linked to articles, not just to check that it isn’t spam but also to check that you endorse the content. Repin or pin other people’s material too, not just to share but also to share quality pictures / ideas / articles with your followers not to mention showing your personality via a variety of pins. Many argue that the 80/20 rule is a good one to follow, 20% of your pins being your own content. Pinning and repinning constantly for an hour (or even half an hour) will fill up the page for your followers and is particularly noticeable if the pins are all your content and are similar in theme. Seeing a page filled with pins that are similar almost feels like being spammed so do pin with caution particularly if each pin is being tweeted or shared to your facebook profile. If pinning from your own website, use a scheduling tool such as pingraphy to spread the publication of your pins throughout the day. 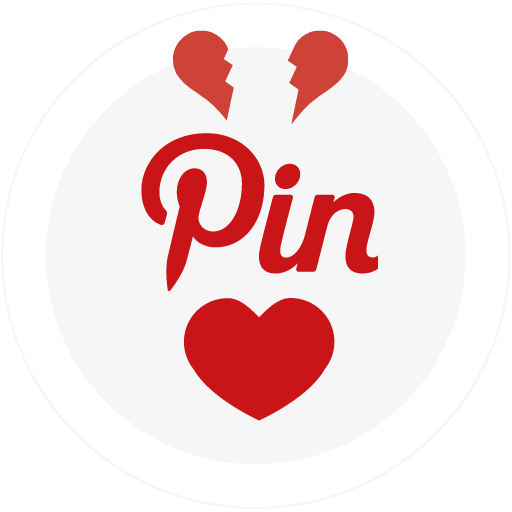 If you see lots of pins you would like to repin and you wish to spread them out, like some of them and then go to your ‘likes’ page later and repin them then. Alternatively you could repin them to a secret board and then repin them for public view later. Pinterest is a great place for each and every company to show their personality, their passion, what they get up to behind the scenes. Whether businesses are made up of a single sole trader or thousands of employees, they can engage with potential clients and customers by including boards showing their community work, what they do behind the scenes or their hobbies. My own pinterest boards will reveal my enthusiasm for crochet, my appreciation of interiors and my love of scenery as well as including many social media themed boards. Hubspot, a large social media company, has numerous boards focusing on social media but also includes ‘orange’ boards (their signature colour), marketing cartoons and unicorns! Remember to re-arrange your seasonal boards as nothing suggests a neglected pinterest account (and business) more than seeing Christmas themed boards at the top of your boards page in January or Hallow’een boards in November. If you have set your board covers too, it’s a good idea to re-arrange them occasionally too, partly to update them and partly as if someone clicks on your board in order to see the board image pin and then can’t find it as it is so far down the page. This is something that is easy to forget so it’s worth while spending an hour every now and then resetting your board images. Apparently pinners only spend 0.5% of their time actually commenting on pinterest. Social media is about being sociable and while repinning someone’s pin is also acting as a compliment, do take the time to comment on those pins that offer something extra special be it extraordinary photography, beautiful design or a well researched or written article. If your pins are being tweeted, remember to check into twitter to see if anyone has responded to your tweets/pins with a reply. Remember to include quality images within your blog post – preferably ones that are either strikingly beautiful or demonstrate that your content will be useful to the readers. Those images are what you are using to drive traffic back to your blog so they need to be good. It is also important to name each of your images appropriately. If you pin this post, you will see that the title will come up automatically in the descriptor box for you, this is because it was named thus when I uploaded the image. If it had been named ‘pinterest’ or ‘fence’ or some other one word term that might be meaningless, I’d be relying on the pinner taking the time to write in the description which they may not do. Spend the extra seconds on it for more success with social sharing of your blog posts. 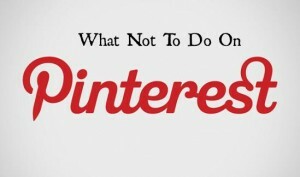 There you have it – 8 Tips of what you shouldn’t do on pinterest. Have I missed any? Do let me know in the comments if you can think of any others. If you would like to learn how to use Pinterest more effectively for your business – we are now teaching Pinterest at beginners and advanced level on our sister site We Teach Social. The courses are delivered online (direct to your inbox) so you can do become proficient in Pinterest use from the comfort of your own home. All it takes is a little time each day for 5 weeks. Hi lorna – I find pinning very time consuming, even though some of the pins out there are amazing . Is there anyway of knowing how effective it is in order to help your business on google rankings / promote your products ? Or would you be better off concentrating on blogging about product related issues as a priority ? 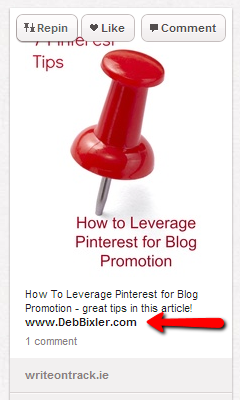 I’d always recommend blogging and then pin your blog posts and just repin a few while you are on pinterest. You can use pinerly or reachli to check how your pins are doing or use google analytics – it’s really useful for showing how your pinterest efforts are paying off. There great tips Lorna. Never saw someone putting their own url in another’s pin. If I saw that I’d unlike the person, bad form. I don’t like when people just pin without checking it goes into a relevant article. Often I like a pic and want to know more only to be brought to Flickr or to a site with no reference to the pin’s contents. It is timeconsuming to check but really important, particularly if it is clear it links to a blog post or article, you have to make sure it does. Great tips! Thanks for sharing on BizSugar. I am just starting all new accounts for my new business was debating adding Pinterest to the mix. I think I might give it a go after reading this. Knowing what NOT to do is so important when you want to preserve your brand’s good name. Thanks for the helpful tips on using Pinterest. I’d like to add one: don’t risk losing your pins to hackers or accidents because you don’t have a backup! My company, Pin4Ever, can save a copy of your pins, boards, and likes to your computer. Go to http://www.pin4ever.com to learn more, and try a free backup! Great post and thanks for sharing it with the BizSugar community. 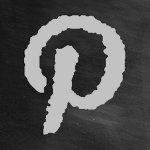 Many rules that apply to Pinterest apply to other social media sites, too. As on those other sites, engagement and reaching out to others is the key, not self promotion. Lorna: I will pin it to my Pinterest board as a great reference material for further studies. Many Thanks for this informative article! I find the “Social Aspect” almost non-existent, which is a let down of sorts for me, as I’m a social person. The other thing that I have found are pinners who re-pin without changing the verbiage of the original pin. Is it just me that is VERY annoyed by this? I take the time to ck each source before pinning, then add MY style of commenting, only to find it’s been re-pinned by others who have not changed my words whatsoever. Is this the ‘Norm”? Thank you very helpful great tips. I am only just starting to use Pinterest as a social media platform – up to now I’ve used it as a glorified bookmarker. My “plan” was already contravening some of these tips, so I’m glad I found you! Now I will take this on board (so to speak!). I use it to bookmark too – people are using it to plan and inspire so many different facets of their lives. In terms of books, people will use it to plan their reading for the year, their ‘to read’ piles as well as sharing their book reviews or their favourite reads. I was looking for a list of all the literary festivals in Ireland the other day and I think I will create a board for them – then I can plan what ones I can manage to get to! I am a newbie pinner. I’m glad I’ve found this page. Who knew that “I” could be sooo annoying? Anyhowww, I love, love, LOVE the hairstyle pictures, but how do they GET the awesome hair. STEP by STEP instructions would help tons!